The Health Ministry will enforce the Traditional and Complementary Medicine Act 2013 by the middle of next year, said Health Minister Datuk Seri Dr S. Subramaniam. 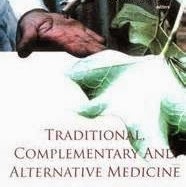 The Ministry is preparing the regulations that would empower it to fine non-registered traditional and complementary medicine (TCM) practitioners up to RM30,000. “But we will take into consideration those who have practised for years, and will give a grace period for them to register,” he said at a press conference after launching the 8th Traditional and Complementary Medicine Conference, Exhibition and Carnival here yesterday. The law, passed in 2012 and gazetted in February, provides for the establishment of the Traditional and Complementary Medicine (TCM) Council to regulate TCM services in Malaysia. Anyone who intends to practise TCM will be required to register with the council, and this move is meant to ensure practitioners adhere to standards and prescribed guidelines. To date, 12,235 practitioners have registered, he said. Dr Subramaniam added that most TCM businesses here consisted of practitioners who operate from their own premises or homes, while only two private hospitals had introduced traditional medicine wings. Fifteen TCM units have also been established at government health care facilities to provide Malay traditional massage and acupuncture for chronic pain and post-stroke care, as well as dispense herbal medicine as an adjunct therapy for the side-effects of mainstream cancer treatment. Other services include Malay post-natal massage and Shirodhara therapy. On whether the ministry would consider pushing for TCM to be exempted from Goods and Services Tax (GST), Dr Subramaniam said the Ministry had submitted its recommendations to the Customs Department, and would await their decision.